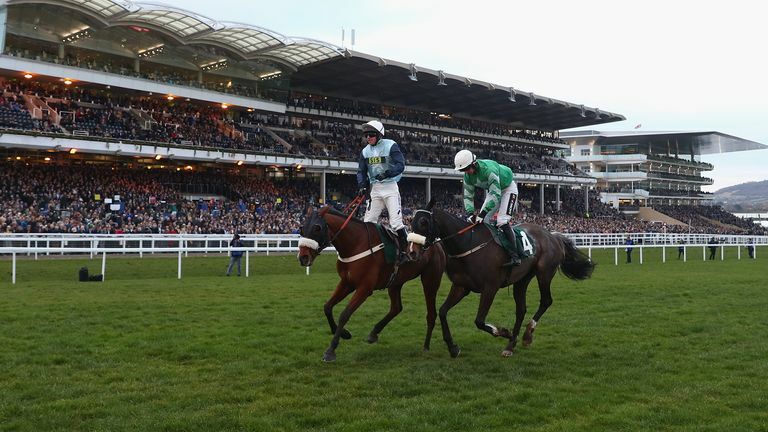 Co. Down jockey Noel McParlan has been second three times at the Cheltenham festival but could never quite reach that much sought-after success, but on Thursday afternoon he changed that in the final race of the afternoon when he claimed his first festival winner. McParlan rode the 8/1 chance Missed Approach, who was having a first start since he underwent a wind operation in February for UK based trainer Warren Greatrex. Missed approach was given a no-nonsense type of ride from McParlan, from the flag fell he was pushed into a front running position and made all the running throughout the extended three-mile trip, although he had challengers come on either side of him approaching the last fence he stuck on gamely to prevail by an official winning margin of a half a length. “This is very special. I never thought this day would come. He stuck his head out and galloped all the way to the line, all my lad does is stay and stay” insisted the elated jockey. Noel Mc Parlan was born and raised in the rural townland of Cabra which is only two miles from Hiltown, he started riding ponies at home from the age of four and that just escalated into a way of life. Horse racing was always in his blood as his father Sean is a well-respected trainer, so the natural progression to become a jockey was always high on the agenda. “I mostly ride for my father, Colin McBratney and Ian Ferguson, I am also blessed to have lots of support from other trainers further afield that are keen to book me, and I will keep trying to get them winners at any given opportunity” states McParlan. We asked this strong-minded jockey how he copes with the massive pressures involved in horse racing when the results don’t go the way they are planned, “It is easy to be forgotten about in this game and you are only as good as your last winner so no matter how well you’re riding or not you must keep focussed and work hard and try and keep your head down and the opportunities will come knocking” insists McParlan. The perception people have of jockeys leading a glamourous lifestyle is far from the truth, they must put in the hard graft to gain the results. McParlan’s day generally starts at 6pm having to feed his family horses, then exercising between six and eight lots before he heads off to school horses for neighbouring trainers further down the country and when that’s done it is either off to the races for a few rides or goes home to do the evening feeds, it’s not as easy as people assume but McParlan adds “It’s all I know and honestly I wouldn’t have it any other way”. Downpatrick and Down Royal are nearby racecourses to this Co. Down jockey and we asked him what it is like to get a winner at these tracks, McParlan replies with a grin “Getting a winner anywhere is the ultimate aim but getting a winner at the local tracks gives you some buzz as the locals are out in full force and it makes it extra memorable”. Another significant memory of McParlan’s career so far happened on 26th July 2016 when he rode a 100/1 shot “Drummullagh Rocky” to victory for his father at Perth Racecourse in Scotland, the horse was owned by Newry businessman Martin Ward. “It was a wonderful day and to get a 100/1 over the line in first place is something you can only dream of, though the credit has to go to my father for getting the horse into such great shape and able to outrun his colossal odds” adds McParlan. McParlan may be a quiet lad but he unquestionably lets his skills in the saddle do the taking for him, he is not slowing down in the slightest and is taking nothing for granted in this dangerous sport, stating “I am targeting to stay fit and injury free and keep on getting winners”. 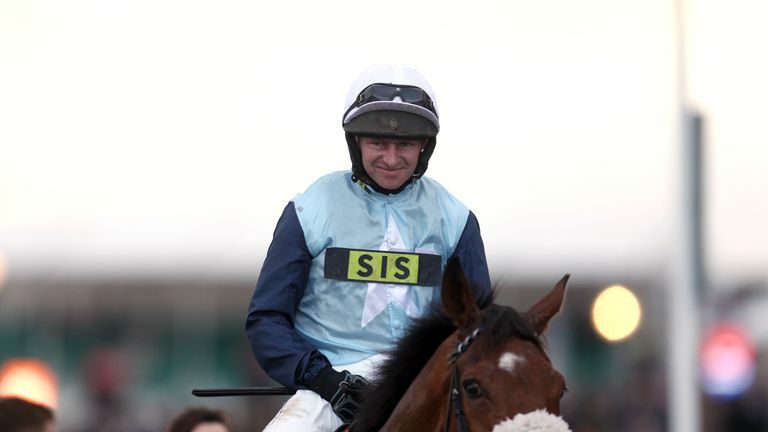 One piece of advice given to this jockey early on in his career from his close friend James Smith was “As soon as the steward waves his flag, it’s every man for himself” which he feels was solid guidance as there are no hiding places once the race gets started. Jockeys seldom get a minute to themselves in this challenging sport, they are either driving hundreds of miles to the races or mucking out, McParlan tells us “very rarely I get much time for anything apart from horses but when I do I like having a few quiet pints with the lads or taking my understanding girlfriend Catherine out for the evening, you have to unwind and recharge the batteries”.